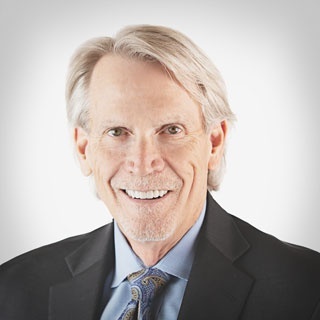 Jason and Alan had the privilege of speaking with Dr. Steve Ratcliff at Spear Education. Steve has had been a dental educator for a lot of years. He spent a lot of years teaching at the Pankey Institute and came over to the Scottsdale Center, which eventually became Spear Education! He has played a huge role in creating much of the content featured on the Spear Online platform and he’s also been a huge part of creating the Spear Study Club curriculum. Steve gave us a pretty intimate look into his past and his evolution as a clinician and educator. We think you’ll walk away with a lot from our talk with Dr. Ratcliff. Dr. Georg Benjamin gives us a Clinical Hack of the Week about an interesting way of cementing provisional restorations using GC Universal Bonding Agent! The Crystal HD mouth mirror by Zirc is second to none. But be careful…once you start using them, you won’t ever want to go back to your old mouth mirror! Zirc is offering a special discount to listeners of the Dental Hacks Podcast! 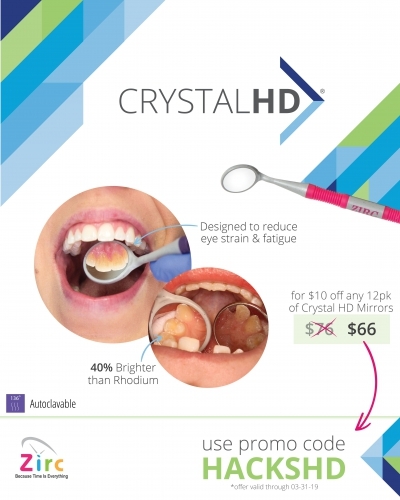 If you use coupon code “HACKSHD” on their website they’ll give you $10 off any 12 pack of Crystal HD mirrors! Go check them out at dentalhacks.com/mirrors! The Dental Hacks Nation closed Facebook group just rolled over 26,000 members! Head over there to interact with other Dental Hacks listeners, guests and Brain Trust members every day, all day! Remember…if you don’t have anything “dental” on your FB page, we might decline your membership request. So IM the group or email us at info@dentalhacks.com!